I am glad to announce this new page, as I believe it will help you find out more about Bolivian History, who we are and how we came up to be proud Bolivians. evo is the only responsible for the debacle at the ICJ, he must step out! Bolivia History 101: Santa Cruz! The charm of streetcars in La Paz … trams should be back! Bolivian Islands may be cause of action, you hear?… Chile?! Watch a great video of La Paz, 1943. They had trams! Have you ever wondered why our start liquor is called Singani? Bolivian History 101: Eduardo Abaroa, Ladislao Cabrera and the Calama defense! Bolivian History 101: Brazil occupies Bolivian Acre territory! 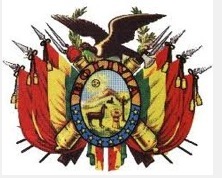 Liberalism 101: What happens in Bolivia…? Potosi silver, wealth that was taken out and never came back! Facts about Bolivian claim to recover OUR sea coast, Chile must deliver! Bolivian Mestizo 101 – Carlos Mesa superb description!